Two versions of Dark Shadows will collide in Cinemax's new drama Banshee, which is about to begin filming in North Carolina. Ben Cross (1991 Barnabas) has been cast as gangster Mr. Rabbit, who is on the hunt for former partner in crime Carrie, played by Ivana Milicevic (2004 Angelique). Joseph Gordon-Levitt (1991 David Collins) is to make his directorial debut with a new film that begins shooting later this month. Joseph also will co-star in the currently-untitled project alongside Julianne Moore and Scarlet Johansson. Jerry Lacy (Reverend Trask) has written a guest blog post for the Actors' Equity Association. To read about how he got his start as an acting professional, click here. Dark Shadows movie screenwriter Seth Grahame-Smith has been working on a rewrite of the long-mooted Ghostbusters III. His new novel Unholy Night is out later this month, featuring a revisionist take on the Nativity, and can be ordered online by clicking here. Chloe Grace Moretz (Carolyn Stoddard) has been announced as the lead in a new movie version of Stephen King's Carrie, which goes into production later this year. Jonny Lee Miller (Roger Collins) has been in New York City filming Elementary, a new pilot for CBS. The series features Jonny starring as a modern-day version of Victorian sleuth Sherlock Holmes. And finally, Philip R. Allen, who made a one-episode appearance as a policeman on Dark Shadows in 1970, died on March 2 at the age of 72. His other credits included recurring roles on The Mary Tyler Moore Show, The Bad News Bears and Lou Grant. 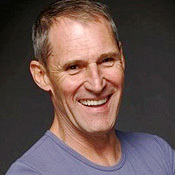 Thrilled for Actor Ben Cross whom did an outstanding works in the DARK SHADOWS 1991-Revival Series as Barnabas Collins. I so wanted that series to continue when it was on in the early 90's for when Victoria came back to modern time the look on her face when seeing Barnabas in the gathering of people in her bedroom was edge on mystery/frightening. She knew he was a Vampire. Thrilled that legendary Actor Jerry Lacy/original DS's Rev. Trask has a blog 'Site Actors Equity Associates. And the Abraham Lincoln Vampiere Killer/Dark Shadows Screen Writter Seth Graham-Smithe will be part of the Ghostbusters III Creative force. Much congrates to Chloe (Stephen King's new Carrie) & Jonny Miller (modern day Sherlock Holmes) in their new movie projects!